Create & Craft, sister channel of shopping network Ideal World has announced it's changing Freeview channel numbers in a move scheduled to take place at the end of April. On Tuesday 26th April, Create & Craft will move from Freeview channel 36 to channel 23, to sit alongside Ideal World, already on channel 22. The change is due to the knock-on effect caused by the removal of BBC Three. With services currently on channel 8 moving to BBC Three's old slot on channel 7, services in Scotland and Wales currently on channel 23 (STV Glasgow, STV Edinburgh and Made in Cardiff) will move to channel 8, freeing up channel 23 nationally for a new service. Channel 23 is already vacant in England and Northern Ireland. 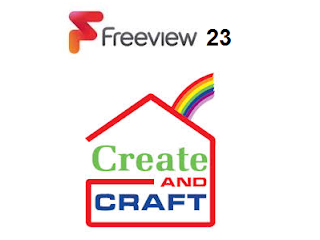 In December, Digital UK, the organisation that allocates Freeview channel numbers, confirmed that Create & Craft would be offered first refusal of channel 23 in accordance with its current channel allocation rules. The move comes at a time when rival station Hochanda is broadcasting reduced hours after midnight on Freeview channel 39 until May, due to a "gap" in their carriage contract. Create & Craft's promotion looks set to further boost the channel, which benefited from a 19% growth in new customers during 2015.